Trading on Betfair, Which Way is Best? So today, we’re going to be talking about trading on Betfair, and which way is best? Of course, this comes down to your individual style, your attitude to risk and your knowledge of the event in which you wish to trade. Now before you get too worried (I know nothing about any sports) you don’t have to know anything about the events in which you wish to trade. What I do, Is to take a short term look at each market I trade, and then make a judgement call based on what I see happening on the screen. This is called “Cold Trading” as It’s emotionless (I don’t favour any football team, or horse) and I don’t actually care what the end result is…ever! Cold trading allows anyone to simply slip into a trade and then stealthily sneak out with a profit, regardless of their experience or expertise. 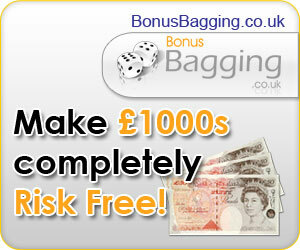 It is this method which allows the beginner to find a firm grounding in Betfair trading. For the sport lovers amongst you, I’m sure there are plenty, you can use form as a basis of making your trading decisions. Whatever sport that you choose, there are statistics that build a picture on past performance, which can then be utilised to predict the future of the next event. The most incredible form stats for football can be found at Goal Profits which I highly recommend! I used the stats from Goal Profits to develop my own Football Strategy which I’ll post on here at some point. If you like football and wish to consider trading It, then then Goal Profits is the place to start and understand their many strategies. I’ve even included them In my Recommendations page. For the Horse Racing enthusiasts, then the Racing Post and Sporting Life websites are where you need to be heading. There are more form stats than you can shake a stick it, along with professional commentary of the horses previously run races. You could use this information to see if your horse is a front-runner or maybe a strong finisher and adopt a suitable trading strategy for that likelihood. Unlike “Cold Trading”, where the trade is usually scalped prior to the event, “Form” trading can take any period of time, sometimes days for Cricket. Scalping usually (but not always) Involves backing and laying (or vice-versa) quite large stakes for a tick or two’s price movement. These traders don’t expose themselves to risk for any longer than the need to. Let’s say we can back a horse at odds of 2.38, then a scalper would get out at 1 tick, which would be 2.36. Most scalpers use a Betfair Robot of some sort. I recommend and use Peter Webb’s Bet Angel. Swing trading usually Involves being in a trade for 10 minutes or longer. The trader will have a strong view of where the market is heading, and will not be satisfied with a single tick or two in profit. Generally, they’ll be looking for a much larger move, maybe 10 ticks or more. My own strategy is a hybrid of both swing and scalping. I trade for ten minutes but want 3-5 ticks usually. Take a look at my Method. Where and how are you going to do your trading on Betfair? Can you dedicate a quiet place in your house solely for your Betfair trading or will you need to trade on the move? Believe me when I say that finding quiet time to trade is Incredibly difficult with 2 young children. Don’t laugh, but I even considered renting an office in a business centre recently to trade without distractions. If you’re on the move a lot, then unlike the overkill image to the left, you could trade with a laptop and maybe a Mifi router. I use one and can recommend the EE one which gives you mobile broadband as well as providing a Wifi hotspot for up to eight devices. I’ve not traded in McDonalds yet, so I can’t vouch for their Wifi unfortunately, but I can’t see any reason why this wouldn’t work. I’d just be wary of of the quality of the Wifi signal as well as how secure It Is. I’m guilty of trying to sometimes shoe-horn my trading in at every opportunity, and as a result I don’t build my plan of the market first. This usually leads to me coming unstuck, and you’ll see that writing this blog has enabled me to face my own bad habits. By all means fit some trading In, but allow enough time for you to get a feel for the market before making your openning trade or regret It at your leisure….only jesting….but there Is a serious point there! Can you trade on tablets and mobile phones……? Yes, if that’s all you have, then you can make I start trading on Betfair. Do I recommend It? Probably not! Now I’m not trying to be a stick in the mud here, but I found very quickly that you need software to trade Betfair effectively. It gives you the edge over other traders. Apart from one piece of software which has remained fairly obscure, no Betfair trading software has been developed for Android or Ios. I may be wrong here, but I don’t think that tablets and mobiles have the computing power to run such demanding Betfair trading software. Secondly I’m not sure my eyes could see everything on such a small screen. Do yourself a favour, and give yourself the best possible chance for success. I use a dedicated laptop for trading but that’s not necessary. Ideally a large screen laptop or desktop will do. Most software has been written for the Windows operating system, but you can download Windows even If you have an Apple Mac. The Bet Angel site has a good explanation on how to do this. As always, I’m here to help, so please feel free to leave a comment, or contact me by email. I’ll reply as soon as I can.